In Windows I use, beside the main Firefox installation, one or even two "Firefox clones" for different purposes (specifically oriented addons and configurations, light configuration without addons, configuration for a different user, etc). For example, in Windows, Pale Moon, Cometbird and Wyzo are FF clones (but they do not have Linux support). Basically, Flock browser would also qualify, and it had support for Linux: but it was discontinued. (1). is a browser that is identical (based on Mozilla Firefox) or very similar and has large/full support for FF extensions, configuration, profiles. = can use FF extensions etc. Are there such more browsers available in Ubuntu? Edit considering the definitive answer: although answers proposing the use of multiple accounts were most voted, I will prefer an answer that proposes a separate browser, for two reasons: 1. that is what the question asks for in the first place, and 2. multiple accounts may involve some problems, like those mentioned above. Now, Pale Moon is available for Linux. More on this, here. In addition to the previously mentioned Iceweasel, there's also IceCat, Swiftfox and Swiftweasel. Finally, if you want, literally another Firefox installation, you could just download the binary package and install it to another location. As indicated, the intended browsers should satisfy two conditions: (1) support Firefox addons and plugins, and (2) run separately from Firefox, without interference. Icecat fully satisfies these demands. More details in this complementary answer. Swiftweasel also satisfies the demands, but in relation with an outdated version of Firefox. For details and updates keep an eye on this complementary answer. 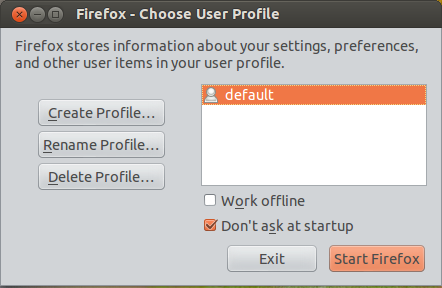 The best Firefox-clone would be a new separate instance of Firefox running with a separate profile. That could be launched from a separate shortcut/launcher or from within Firefox (see the addon at the end). Firefox allows the creation of separate profiles, they are easy to setup and you may use as many sets of addons and configurations as you wish. Then the profile manager comes up, click on create profile, and then name your profile, for example set1. You can also point another location for the profile folder. By default, the profile folder is located at /home/user/.mozilla/firefox/ and is named with a string of 8 random characters, followed by the name you gave it. You have to do Ctrl + H while in the home directory, to be able to see .mozilla folder. Then again, start profile manager, select your profile and you will be using it just the same. Repeat the process for every profile you wish to create. Now to be able to start each profile from a single shortcut and use more than one profile simultaneously, as detailed in this question, create a new text file on your desktop, name it set1.desktop. Replace user and set1 with your username and profile name, respectively, and place the 8 random characters attributed to this profile. After that, save the changes, right click on the text file, make sure its name has the .desktop and on the permissions tab, allow it to run as an application. Now you have a shortcut to start this Firefox profile. When launched, you can right click on this icon in the Unity launcher and lock it there, so it is always accessible. You may move the shortcut somewhere else in your home folder too, it doesn't have to be on the desktop. Repeat the previous steps for each profile you have created before, and then, with just a double-click, you will have one or more Firefox profiles started. It will require some work to set up, depending on how many profiles you wish, but after that, it really is almost like you had several Firefox instances installed. The source of this answer is this one given by Mik to a separate question: How to create shortcuts to different Firefox profiles. To switch profiles within Firefox with one click, see this addon. Instead of using clones, you may use different profiles with Firefox. Just press Alt + F2 and type firefox -profilemanager. Create different profiles as necessary and run them simultaneously if needed. You may even create different .desktop files with the command-line options added to launch them easily. Simply copy the /usr/share/applications/firefox.desktop file to ~/.local/share/applications rename it and edit the exec line adding the -P PROFILENAME -no-remote. 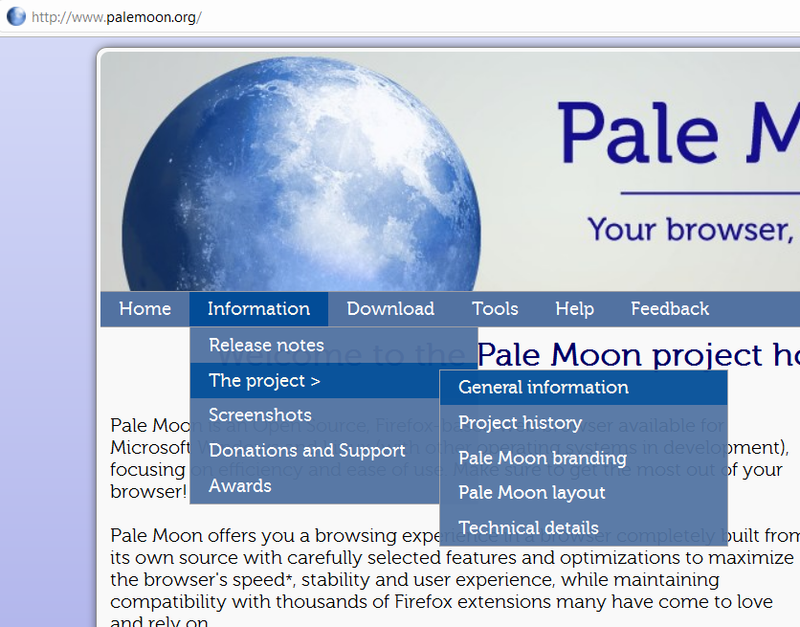 Pale Moon, mentioned in the question, is my favourite in Windows and it was in fact the main reference when asking for a similar application for Ubuntu: now, it is available for Linux. An article on Pale Moon, here. 1. To be a 'double' of Firefox, that is to be identical, or very similar, so as to have all support for Firefox extensions, plugins, themes. 2. To be able to run side-by-side with Firefox but without any interference (regarding profiles, extensions etc). Full support for all Firefox extensions, plugins and so on. Operates completely separate from Firefox. 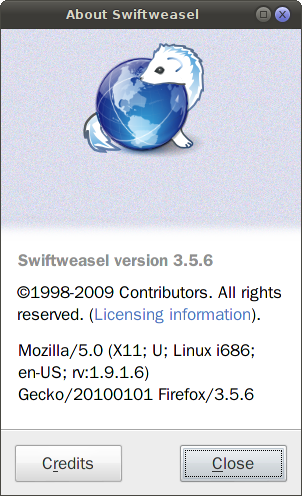 Swiftweasel kept the pace with Firefox only up to version 3.5.6 (here - just like Seamonkey, it runs 'portable'). Gmail is displayed in html version only. But for the rest seems to run smoothly, a lot of main extensions ans themes are still supported and it also seems lighter than last Firefox: but this could be misleading, as it takes less RAM but sometimes more CPU resources. Considering the other browsers mentioned in the linked answer: Swiftfox displays version 3.6.1, the forum link and download links are not working. I was not able to install it (in the past I did, but it was not working separately from firefox). It is a bit tricky to install Iceweasel in Ubuntu and this browser will "take over" ("compete with") the main Firefox installation (see this answer). So, one solution is: Icecat. Another solution is Nightly version of Firefox - as specified in this other answer. Also, Seamonkey satisfies in fact those conditions, in the sense that most important addons work, or have separate support from places like mozdev.org. More here. If you really want them to be identical, but still have at least some difference, you may want to use the Firefox Nightly build. Then, just check your programs list for "Nightly." It will be called "Nightly Web Browser," but that one is Firefox Nightly. It runs with a completely separate profile, and will have some subtle differences from the stable, tested Mozilla Firefox. This should be exactly what you're looking for! Yet another possibility (not necessarily the best) is to run Tor Project's portable Firefox from the Tor Browser Bundle. It's Firefox ESR with some modifications. This package requires no installation. Just extract it and run. No hacking other than extracting the files and double-clicking on either start-tor-browser (you might choose to stop Tor services) or directly run-mozilla.sh under the App/Firefox folder. Naturally, it can be added to the Dash too. To still benefit from the protection provided by the Tor software, you can simply make a copy of the Firefox folder somewhere else. This way, you keep the original Firefox distributed as part of the Tor Browser Bundle (and use it whenever you want anonymity on the internet), and you can run and configure as you like the copy of the Firefox. This is because several extensions and plugins are not compatible with the anonymity intended when using the Tor software. I wouldn't claim this is the best answer, but I think it clearly fits the requirements on your original question. What web browsers are there for Ubuntu? How to install Firefox 3.6 and 4.0+ in parallel? How can I install a specific older version of Firefox and keep it from automatically updating? Run the same browser on two different desktop instances? How to make Firefox (versions 41+) accept unsigned extensions? Where can I download Firefox Unbranded? How can I launch portable firefox app as a separate application? How can I have GNOME applications use a custom web browser?